Rough week, all in all. Part because of pregnancy pain, part because of my increasingly awful mood swings. But I’m glad it’s Friday — Mister Mister and I will be celebrating our one-year wedding anniversary tomorrow with a trip to one of of favorite restaurants back when he lived in an entirely different county than me, and the site of our wedding rehearsal dinner. So without further ado, let’s erase any lingering memories of this soon-to-be-gone week with some of my favorite pins from the week. Meg Jannott wanted to take on a personal project as a quick design study, so she branded 44 Presidents of the United States. 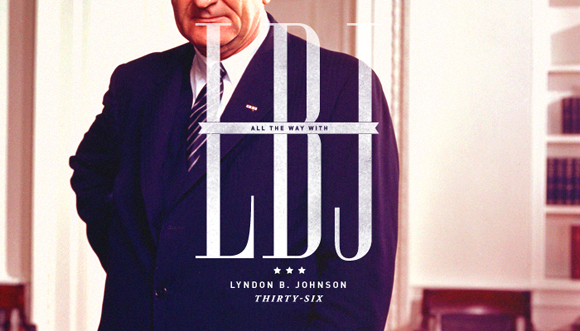 The result is clever and fresh — here’s just one of my favorites, for LBJ, whose election slogan was “All the Way With LBJ.” Check out the link above for the full project! 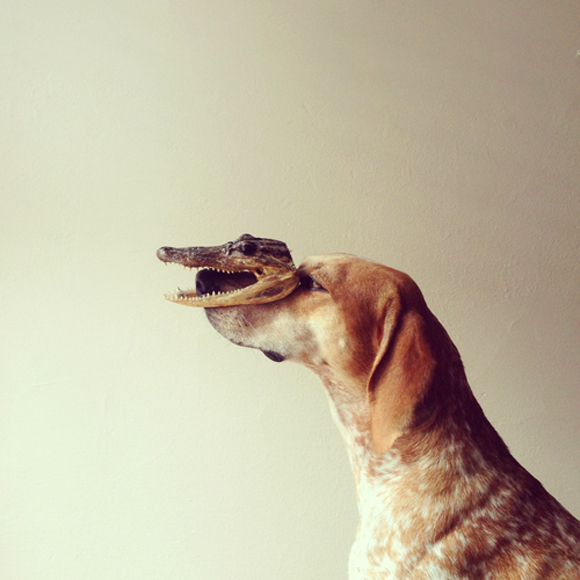 I love a good dog photo, and this series featuring Maddie the Coonhound (subtitled “a super serious project about dogs and physics”) is tops. We get to see Maddie on a bus stop bench, a bookcase, and a rock in the Allegheny National Forest — and more importantly, see her donning a sock nose, fake ear, fried egg, and more. Mostly while looking super sleepy — or super embarrassed. 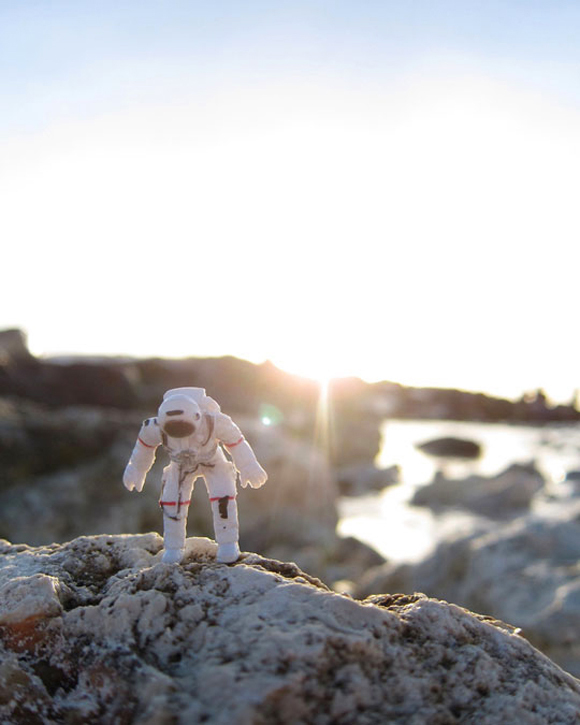 Photographer Stephen Johnson takes this little plastic moonman to places where no man has gone before — the crevasses of the earth, the surfaces of the smallest objects, giving new vision to nooks and crannies largely ignored. It’s a great study in scale and exploration — and would look awesome hanging on the wall. 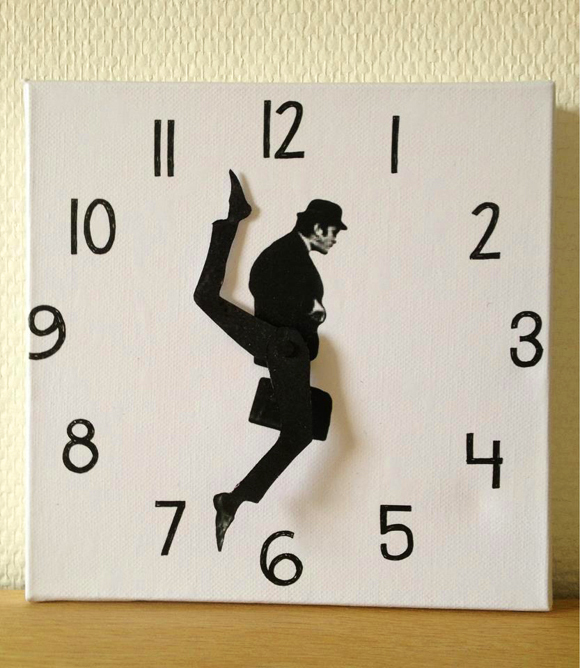 Seriously awesome time-keeper derived from a seriously awesome classic skit. Pure silliness. 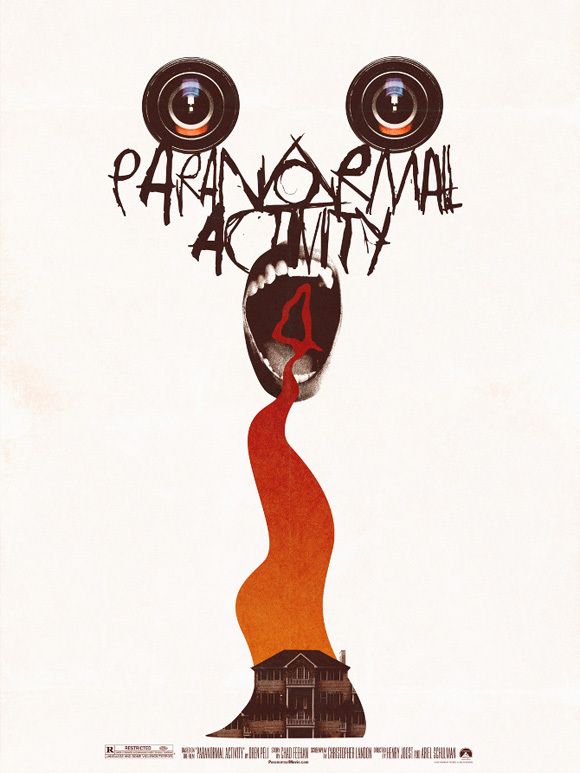 I have a thing for reimagined movie posters, and this Paranormal Activity 4 print (check out another nightmare-inducing one at that link, as well) by Kingdom of Nonsense is seriously terrifying. It reminds me of a poster for something like “The Amityville Horror,” but about 10 times creepier. Totally unsettling. Love it.